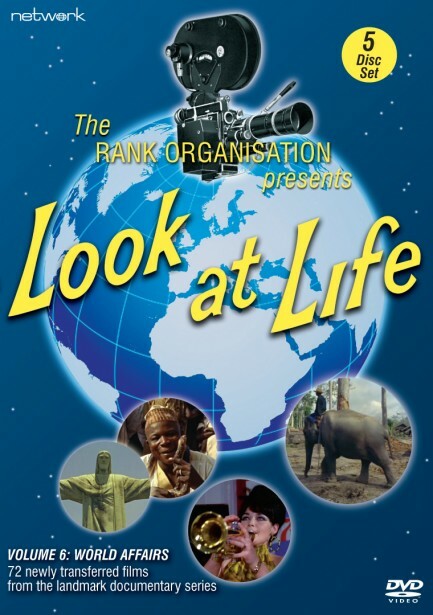 Look at Life was a regular series of short documentary films produced in the 1960s by the Special Features Division of the Rank Organisation and screened in their Odeon and Gaumont cinemas – replacing the circuit’s newsreel, Universal News, which had become largely irrelevant with the advent of television news broadcasts. Marvellously concise and beautifully shot, these ‘slice of life’ colour featurettes – numbering over 500 episodes in total – presented cinemagoers with varied aspects of contemporary life in Britain and beyond. Transferred from the original film elements, this set presents 72 memorable films whose subjects range from the newly independent countries of Africa to life behind the Iron Curtain, from the Common Market to new industries in Ireland; offering a window on the world in a period of rapid change, many of these films have remained unseen since their first screening. A fascinating look at Morocco’s historical third city. A look at the two very different faces of Berlin. The building of Africa’s Kariba Dam created a vast lake, meaning death for the animals marooned on higher ground; this film shows the work done to save them. A look at the opening of the Saint Lawrence seaway. A visit to the village of Mittenwald in the Bavarian Alps, where for 300 years violin-making has been a traditional craft. Gibraltar has been a British outpost since 1704. This film visits the island as it prepares to become a holiday destination. A look at developments and achievements in Africa during the 1950s and 1960s. A further look at Africa – in particular its increasing capacity to harness its waters. Six hundred miles inside Brazil stands the new capital Brasília, one of the 20th century’s most imaginative projects. A look at the development of Japan, and especially Tokyo. A look at the impact of the South-East Asia Treaty Organisation (SEATO) in Thailand. A film that takes another look at the crisis-torn city of Berlin. A film examining the ways in which Pakistan is tackling its immense refugee problem. Berchtesgaden, in the Bavarian Alps, attracts visitors from all over the world; many come to see Hitler’s ‘Eagle’s Nest’, a feat of construction that survived World War II. A film showing the emigration to Canada of a typical English family. A look at illegal drug trafficking in Hong Kong and the problems of heroin addiction. A visit to a Native Canadian family, and a look at the construction of a new bridge across the Niagara River. A mixture of the old and the new: a look at GHQ Middle East at Aden. A visit to Hadrian’s Wall in Northumberland, and a more detailed examination of the Berlin Wall. A look at immigration from the West Indies into Britain. An assessment of the progress of the Common Market during a period in which its member countries have begun to remove trade barriers. A film looking at the changing face of the River Rhine. Following the state visit of Queen Elizabeth II, this film looks at India’s development in terms of farming and industry. A look at wildlife protection in North and South Rhodesia, and the development of national parks. A look at the emerging independent countries of Africa, featuring images of life in both the village and the city. For centuries the men of Berchtesgaden have earned their living from the trees that surround them; now mechanisation is eroding their traditional skills. The story of Ulster began when James I obtained money from the City of London to colonise the North of Ireland. This film looks at Ulster’s role in Britain’s productivity. Each year, Europe’s gypsies make a pilgrimage to the Camargue – the wild corner of France where the Rhône meets the Mediterranean. A look at wine producing in France and Germany. A trip to Australia to see how the country is coping with its large intake of immigrants. Few migrants have ever found a more spectacular role than the men working together on Australia’s vast project to harness the waters of the Snowy River. A fascinating look at a modern, forward-looking Singapore. Australia has 15 times more sheep than people, with wool providing nearly half of the country’s export earnings. But how does Australia envision its future? A fascinating film looking at the volcanic zone of New Zealand, and the hot water it produces. This film looks at the economic and social impact of foreign industrialists in the Irish Republic. A look at the various seafaring jobs for women – from work on the great passenger liners, to merchant navies. A look at post-independence Jamaica, and the country’s hope to gain a firm footing in the modern world. Part of the contribution made by Britain to assist newly independent countries in increasing their skills and knowledge. For centuries the Dutch have fought against the sea: this film looks at the Delta Plan – a spectacular sea-defence scheme. A look at the frontiers between Eastern and Western Europe. A look at the changing way of life in Lapland – the vast tract of forest land that stretches across the north of Norway, Sweden and Finland, and into Russia. Look at Life goes to Sweden to examine the country’s pioneering way of life – and potential influence on Britain. A visit behind the Iron Curtain to Hungary to see how it has changed. The world’s most famous beach is the Copacabana in Rio de Janeiro. But overlooking it are the shacks of the world’s poorest people. A tale of two cities looking at the ways in which Paris and London have set about cleaning up their appearance. The majority of the Bolivian population is Indian, with traditions dating back to the Incas. But the problem of uniting the Bolivians of Indian and Spanish descent remains..
A look at Luxembourg, a country of 1,000 square miles and, in the early 1960s, a population of 50,000. Sardinia was once considered a depressed area; this film looks at the changes resulting from a major development plan. A visit to São Paolo in Brazil, a city which is growing continually each year. A close look at the European Community, showing some of the problems that the Common Market has had to solve. A film examining one of the most exciting aspects of the Common Market: the free movement of migrant workers. A look at how Kuwait is coping with its newly acquired wealth, and the provisions being made for the future. A look at the lives of Britain’s Polish community. A trip to Denmark to look at the Danish way of life. Ascension Island is home to many families, who sometimes work there for up to two years. A look at the world of the Chinese who have made Britain their home. A film providing a background to the achievements of the Russian people – expressed in great housing schemes, giant dams and, of course, the conquest of Space. A look at the role of women in the Soviet Union – from helping to build new flats to running factories, driving buses to presiding over divorce courts. A film that traces the story of Russian children, through kindergarten, school and university. Although Siberia conjures up a picture of exile and slave labour, the new Siberia has modern cities with young populations. This film explores life east of the Urals. A look at the rapid changes taking place in the Algarve, with the planning of luxury development schemes along the coastline. A look at changes taking place in Tunisia, ten years after it gained independence. Nepal, once a forbidden country, is opening up; this film offers a picture of life in one of the world’s most picturesque countries, as old customs give way to new ideas. A look at the changing pattern of Czech life during the upheaval of 1968. A film about India; what has been achieved, and what still remains to be done in the sub-continent where problems are never small ones. A film looking at Tibetan refugees, and the way in which their Dalai Lama has kept the scattered community intact. A look at the efforts being made to prevent Venice from sinking. A look at the spiritual wealth of India – as expressed in her art and design, her music and dance, and her sculpture and architecture. Behind the Berlin Wall is a death-strip with electrified fences and watchtowers; this film also looks at the rebuilding of West Berlin, and the hope of reunification. In 1968, the Queen paid a state visit to Chile – the first British reigning monarch to do so. This film considers what the future holds for this proud, fascinating country. 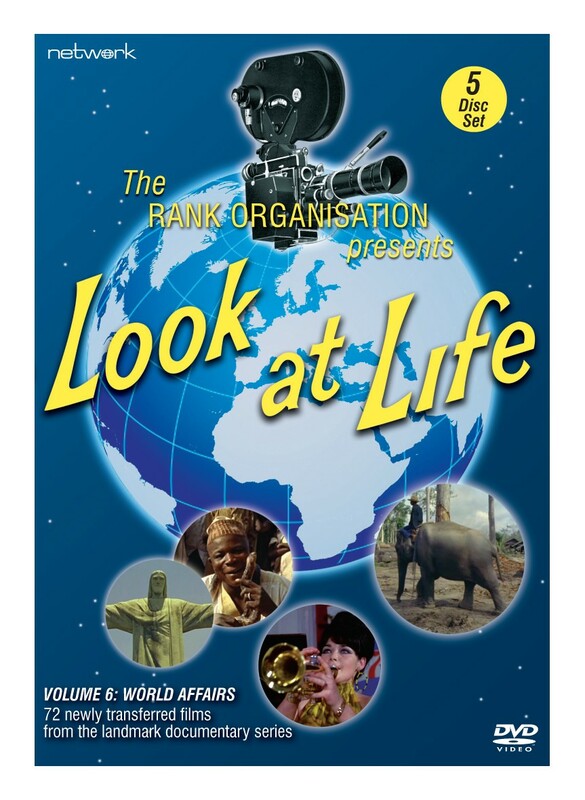 Look at Life visits the Isle of Man to discover why it wants greater independence.